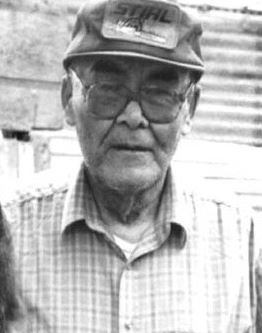 Holikachuk (also known as the Innoko, Organized Village of Grayling, Innoka-khotana, or Tlëgon-khotana) are a Yupik Alaska Native Athabaskan people of western Alaska. They originally resided in their native village of Holikachuk but in 1963 moved now just to the west in Grayling on the Yukon River. Originally built as an England styled outpost, Graying, Alaska with a small population of less than 200 total people has made a name for itself. It is known for fly fishing. On odd numbered years, it is also one of the checkpoints during the Iditarod Trail Sled Dog Race. The Holikachuk call themselves the Doong Hit'an and are a distant relative to the Degexitan, Ingalik people. Their traditional language, Holikachuk of the Innoko River, was not identified as a separate distinct language until the 1970s. The last known fluent speaker, Wilson “Tiny” Deacon, died in 2012. Some still can use basic Holikachuk to converse with one another. However, their language is highly endangered. Traditionally, Holikachuk were animistic, the belief that all plants, animals, and objects have spirits. To appease the spirits, people perform rituals and consult shamans. Ceremonies were performed to maintain equilibrium with the spirit world. For instance, once such ceremony was the stick dance. The celebration lasted seven days. They feasted, danced, and sang. The stick was a tall, decorated spruce pole. People danced and sang around it through one night. At the end of the dancing, they took the stick down and danced through the village. Finally, they broke the stick into several pieces. Soon after Graying was founded, Christian missionary presence arrived. 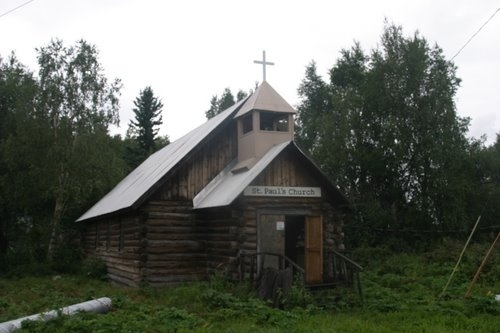 Christians built a log cabin style Episcopal Church named St. Paul's Church, that is still standing today. Pray God will breakdown barriers that prevent Holikachuk from becoming Christians and having a personal growing relationship with Jesus Christ. Pray that God will send Christians as they fly fish in the Grayling area to also be fishers of men sharing the message of eternal hope and peace through Jesus Christ. Pray for younger generations of Holikachuk to understand and receive the message of Christ.